Superbe acoustique même si le parterre n'était pas complet. The venue was beautiful and the concert was fantastic. We would have liked a heads up about it being a dress-up event at the website. As tourists it is not always easy to dress correctly. Jolie salle, Dommage qu'à la réservation il n'y avait pas énormément de choix pour l 'emplacement des places alors que la salle n'était pas remplie lors du concert. Due to ceiling breaking event cancelled. 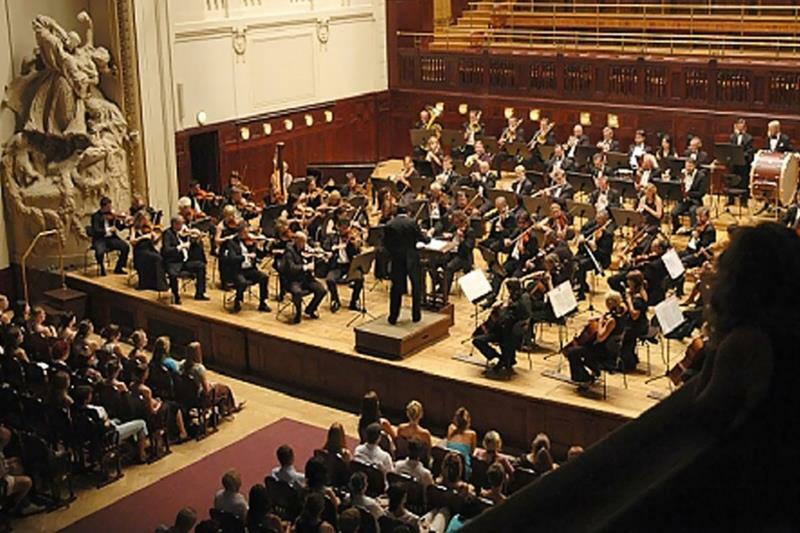 It did not take place in Smetana Hall because there was ceiling damage and that location was cancelled. That was very disappointing. Very pleasant town. Many places to visit. Wow, what a beautiful place,. I love the architecture ornaments around the concert hall. 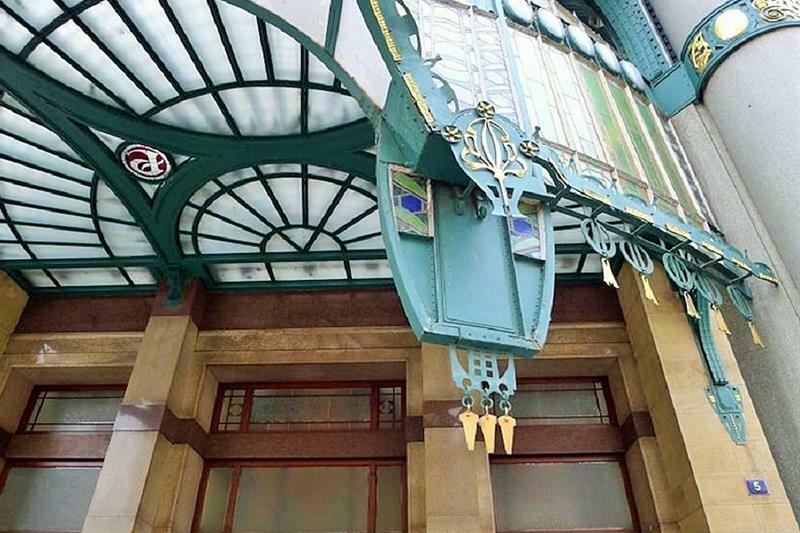 A beautiful job in restoring it to its former glory. Thank you. Stunning venue. Very reasonably priced. Highly recommended. Why was it so empty? The concert hall was beautiful and the acoustics were perfect. Our seats were on the center aisle near the back and we could even hear the vocalist breathe. I highly recommend any concert in this hall. Sedadla i akustika byla dobra. Need to update entrance method - still doing things by hand instead of scanning tickets electronically. The venue is good, the hall is big and have nice details. The program is only available to buy in Czech, it would be nice also to have a small review in English somewhere also. But it’s okay. Large, gorgeous hall, well maintained, wonderful acoustics. Seating capacity was perfect, not too large. 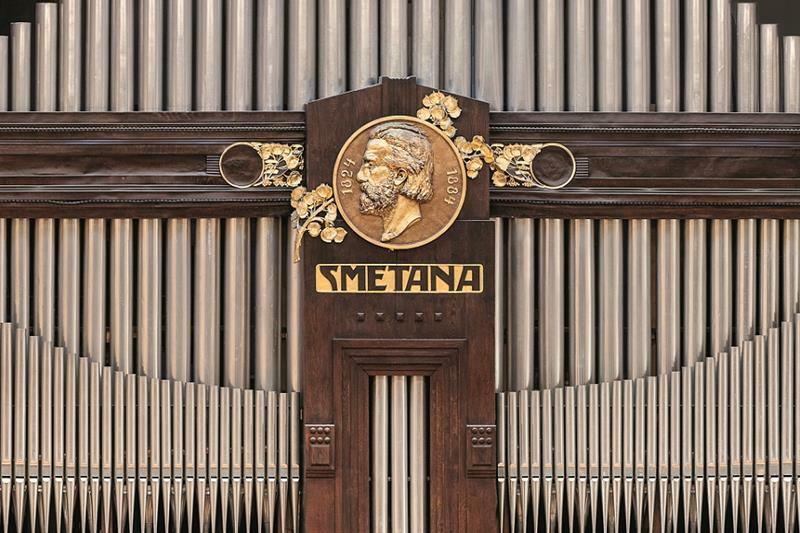 Smetana Hall is amazing in every way - the architecture, the art, the organ, the acoustics. An historic building, but also spacious and comfortable. The setting was perfect for the music. Staff were polite and helpful. Magnifique salle. Tant sur le plan décoratif que sur le plan phonique. Assise confortable. The venue itself is visually stunning and acoustically excellent. It's worth arriving early just to take it all in, and it's beautifully maintained. The venue itself was beautiful but the voices were difficult to hear clearly. It seemed that the venue was not ideal acoustically for the performance. Nous regrettons d'avoir été assis derrière trois personnes qui ont passé leur temps à filmer le concert avec leur téléphone portable. La lumière de leur écran et leusr gestes nous ont par moment agacés et détournés du magnifique concert. Au prix de notre billet nous aurions aimé mieux profiter. Beautiful Hall, Gorgeous building, wonderful acoustics, even an elegant lift. La salle est très grande et très belle. 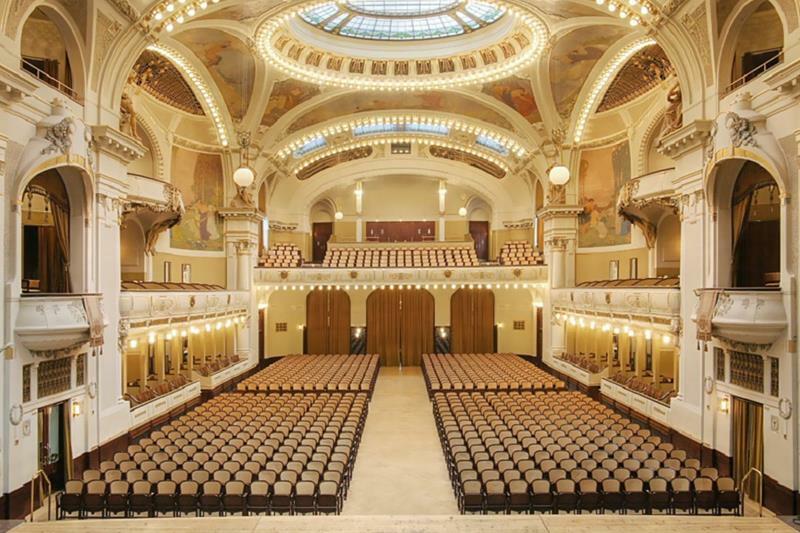 The Smetana Hall is exquisitely beautiful. I do not understand why only very few people attend the concerts where not only the music and acoustics are great but you can also spend the hour enjoying the architectural features, too. it will be much better if the sitting plan was also provided during booking. Beautiful venue with great acoustics! It was a pleasure. Loved the Municipal House. The Smetana Hall is a glorious backdrop and the acoustics were excellent. The venue was BEAUTIFUL and I could hear and see the performers perfectly from where we were seated. The resonance of the the instrument is quite good. A very historic and beautiful venue. Beautiful historic venue. A perfect location for the wonderful musical program. 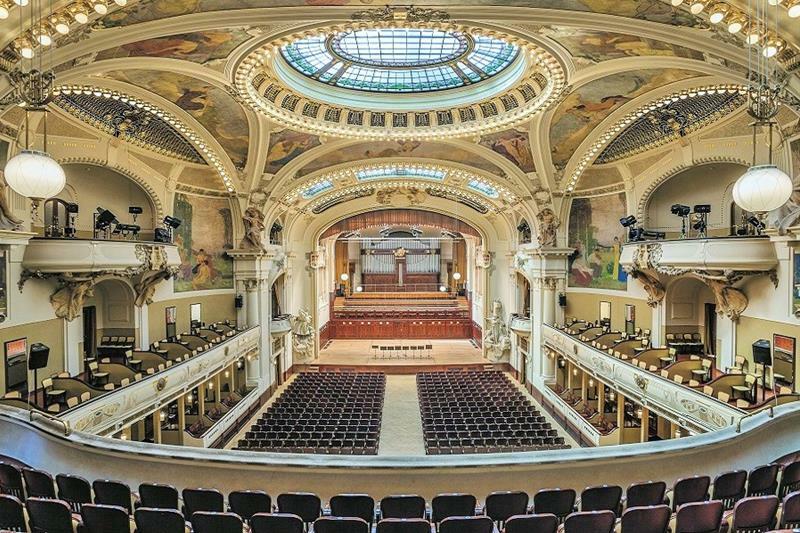 Municipal House and Smetana Hall are beautiful. It was easy to find my seat and the staff were really helpful and friendly. We had balconey seats. Upon ordering, the site said that there were no assigned seating, but hen we arrived, they had our order and assigned us very good seats. My only concern was that the seats were too closely packed in from both beside and behind. I sat in front of a lady who coughed the entire concert and so found it very difficult to just immerse myself in the music being performed. The hall was beautiful but the seats were a little hard. As mentioned above, it may have acoustic dead spos. La sala ha un grande fascino ma un'acustica non perfetta, almeno nella prima metá della platea. Buona l'organizzazione. Personale professionale e gentile. 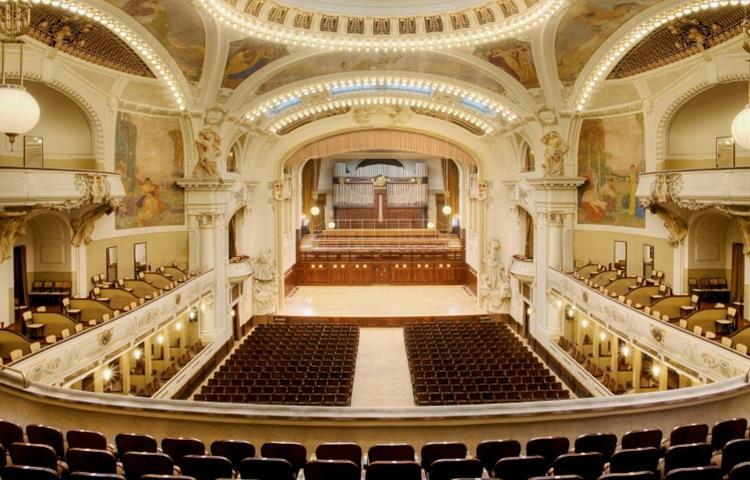 Smetana Hall is beautiful and grand venue - a real feel of elegance from another era. Byl jsem schopen poslouchat představení na obdivované Smetanově síni a já jsem byl schopen ochutnat nejvíce uspokojující pocit. Určitě bych to doporučil mnoha lidem. Pity about the sqeaky chairs. Très belle salle, acoustique remarquable. 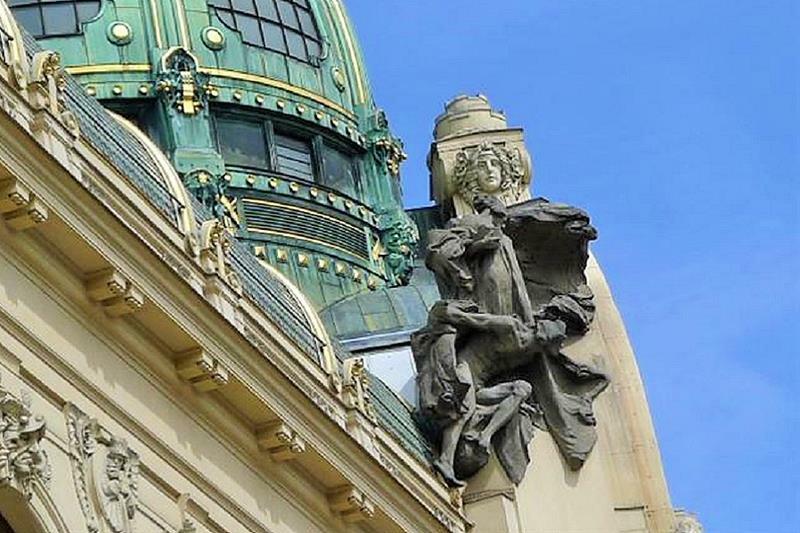 Der Smetana Saal und das gesamte Gebäude ist ein hervorragender Ort für kulturelle Veranstaltungen. Service impeccable, décors agréable, bonne température. Le lieu est également avec une belle sale de concert, et pour avant et après un restaurant et une brasserie qui valent le détour. One complaint: Why, while your brilliant conductor has the courage to start the concert at the correct time, do you agree to continue letting the latecomers into the room (Disrespectful!) During the first 10 minutes ?? Thea could the hall are simply amazing. Municipal House is ideal as it is a must see on its own. Très bel endroit bon acoustique dans toute la salle. Très belle salle très bien placée. Beautiful venue, shame about the poor comfort seats. The seating was adequate but uncomfortable for a long concert. The setting and the acoustics were excellent. Loved being in the Main hall so majestic. See above. I did find my seat a little hard. The hall is really excellent. Acoustics were excellent. The seating was less plush, but the concert was not so long as to make the seating an issue. It was odd that someone in the orchestra brought 2 bags on the stage. Beautiful building and a nice hall for string music. Excellent venue for a classical music performance. June 21, 2019 | 19:00 (Fri) Gospel!